Solvent-based wax remover There is 1 product. 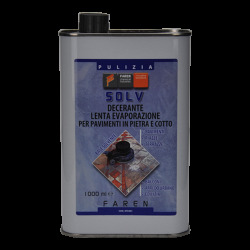 SOLVENT-BASED DEWAXER Slow to evaporate, it removes natural and synthetic waxes and treatments resistant to water-based dewaxers. Ideal for marble and natural stones. Packaging available: 1l.